If you are looking for information on the All Over Media franchise business opportunity, AllOver Media franchises or All Over Media franchising, then you have come to the right place. AllOver Media's vision is to have a dominant presence in local markets all across the country. We are the out-of-home advertising company of choice among national, regional and local advertisers due to our unique blend of media products which include: indoor print, digital indoor, and gas pump advertising just to name a few. 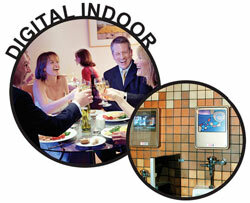 Further, we are constantly exploring additional media opportunities to add to our current product offering. Consumers have become more difficult to reach and are more on the go then ever. In addition, the technology of Satellite radio, TiVo, Ipods, etc. makes targeting consumers more difficult. Advertisers have sought new ways of targeting them. Advertising mediums have popped up all across the landscape: restroom, bus shelter, transit, and gas pump top advertising. 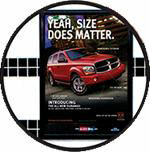 These, along with many others, are called non-traditional or ambient media advertising. AllOver Media advertising reaches people where they live work and play. Our mediums cannot be tuned out, turned off or missed. 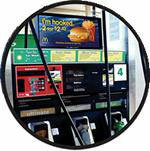 We use gas pump advertising, indoor print advertising and indoor digital advertising to reach captive audiences (places where people spend three to five minutes with few distractions) as they move through their day. As an AllOver Media franchisee, you will use our proven methods and industry experience to build your own local media business. Our expertise in the non-traditional media industry gives you a comprehensive advantage. Our commitment to franchise training, superior customer service and national sales increases your opportunity to be successful. Our franchise opportunity is all of that and more ... We offer a proven business model with less hassle and it even can be run as a no employee franchise. With all of this, you can see why this is such an exciting time at AllOver Media. We are poised to grow and prepared to provide you with the tools you need to build a strong local media business.